Erica Jong on Circumcision: What's Missing? 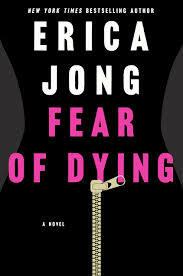 When it comes to Jewish circumcision, Erica Jong has a bad case of dysentery. You know, in the Woody Allen sense, where commentary and dissent merge? It’s a bug that Jong can’t seem to shake. For those too young to remember, Jong is best known for her 1973 breakout novel Fear of Flying. Back then, John Updike’s review in The New Yorker placed Fear of Flying alongside J.D. Salinger’s Catcher in the Rye and Philip Roth’s Portnoy’s Complaint. Over the past 40 years, Jong has written dozens of other books of fiction, nonfiction and poetry.